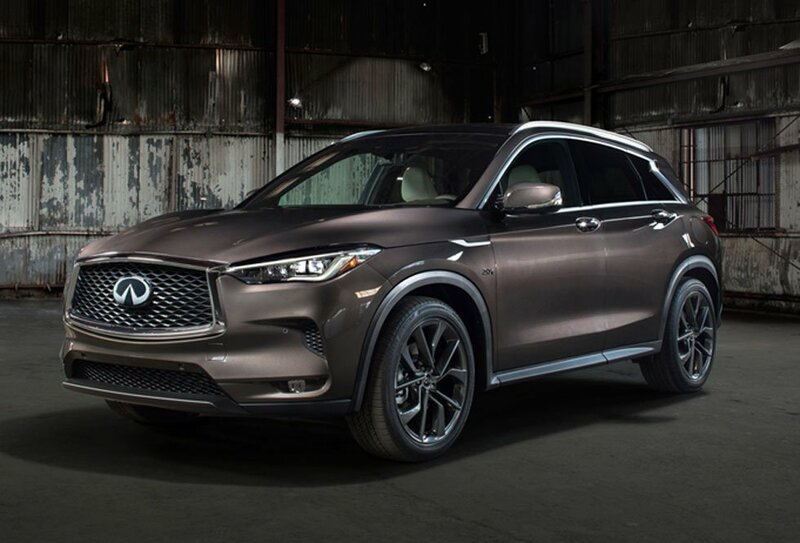 Infiniti will officially launch its new 2019 QX50 crossover at the 2017 LA Auto Show next week, and while it’s a cool looking crossover, riding on an all-new platform, the real standout feature is an all-new engine technology that has been 20 years in the making. The engine is called the VC-Turbo, and it aims to deliver the efficiency and torque of a diesel engine, while burning plain old gas. The groundbreaking variable compression 2.0-liter turbocharged engine it makes 268 hp and 280 lb-ft. of torque. However, fuel economy is 35% better for the FWD version than the previous model’s V6 engine. Infiniti says that it expects 27 mpg on the highway for the FWD version and 26 mpg on the highway for the AWD version. The engine is mated with a CVT transmission. The QX50 will also offer Nissan’s ProPilot semi-autonomous tech for controlling throttle, brakes, and steering on the highway.